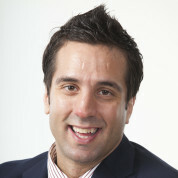 George Couros is currently Division Principal of Innovative Teaching and Learning with Parkland School Division located in Stony Plain, Alberta, Canada. The schools are from ages K-12, and he loves working with kids of all ages. He is passionate about distributed leadership within his division, and believes that creating a collaborative environment with all stakeholders, will help to ensure that educators meet the best needs of all children. You can learn more about George on his own blog entitled “The Principal of Change”. George is also the creator of the “Connected Principals” site because he knew that we can learn so much from a strong team of educators with different backgrounds, as opposed to the view of only one. It is imperative that as educators, we are learners first.